The ladies of Warpaint are at it again, y'all, touring the pants off latest long player Heads Up, newly released on Rough Trade. The NY Times calls the record's songs "both brooding and frisky," which pretty much means you certainly don't want to miss hearing them up close and in person. 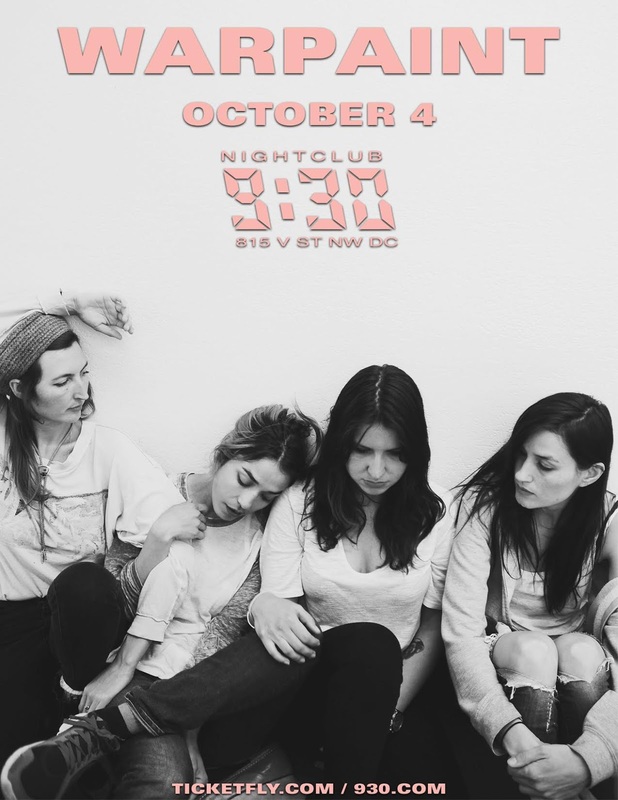 I can help you achieve your dream of seeing Warpaint live, since I happen to have a pair of tickets up for grabs to see this feisty outfit here in DC for their 10/4 show. To win, in honor of the first presidential debate tonight, give me your best campaign-ese for why you should win the tickets to the show. Email me your propaganda no later than noon on Sunday, 10/2. Winner will be notified by email. Good luck!